they will just fade out, make some noises, and fade back in. 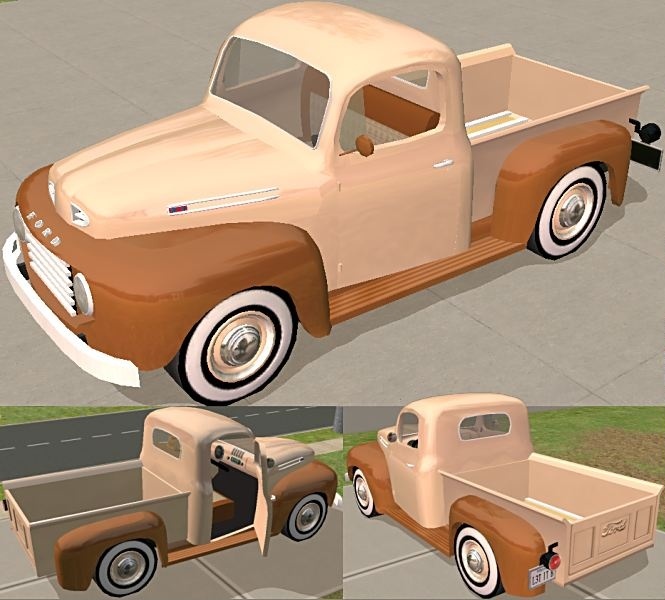 Included in the main package is the Mesh plus the tan/brown body color and the brown interior with white-wall tires. 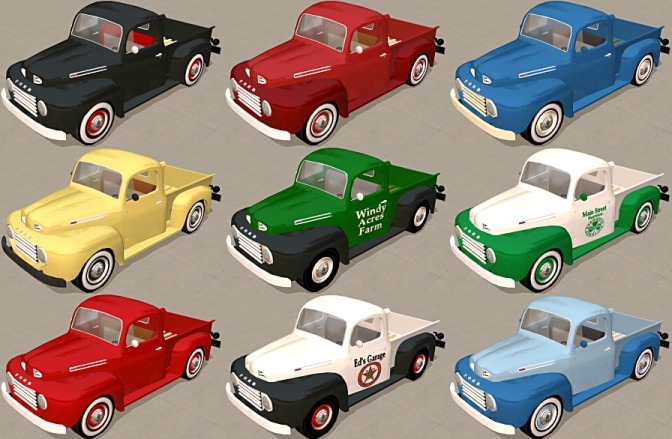 The colors download includes the 9 extra exterior colors shown in the picture, plus a black-wall tires with no logo option. The door logos are part of the second color option, so any logo can be used on any body color. The door logos will be correct (not reversed) on both sides of the truck. 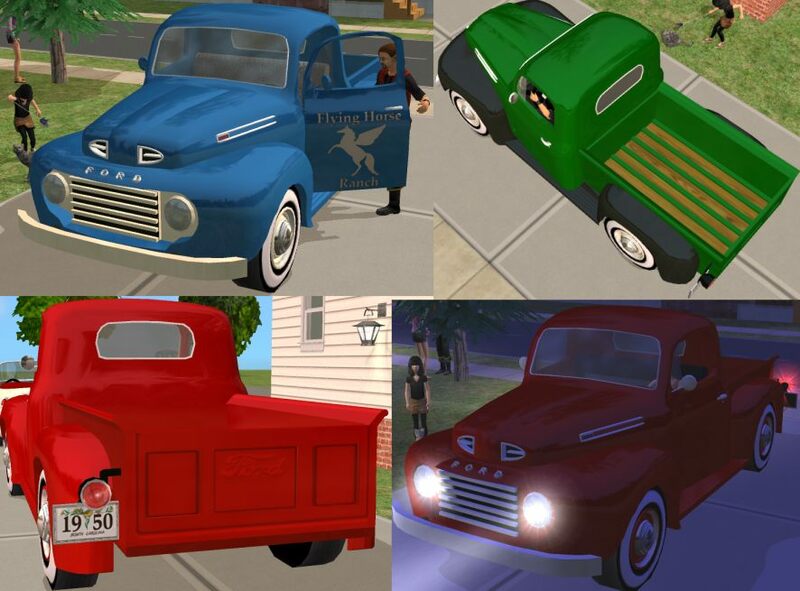 The logos download includes the 6 door logo options shown. A drivable Tow Truck version is also available here. The main Package file was modified from the Maxis pickup using Wes Howe's UniMesh plugins and the .Ms3dASCII export/import of SimPE. The mesh was re-scaled, poly reduced, and the parts re-aligned. The interior was built from scratch, and the entire model was remapped. All mesh editing and UV mapping was done in MilkShape. Second color option provided by Numenor's CEP files.